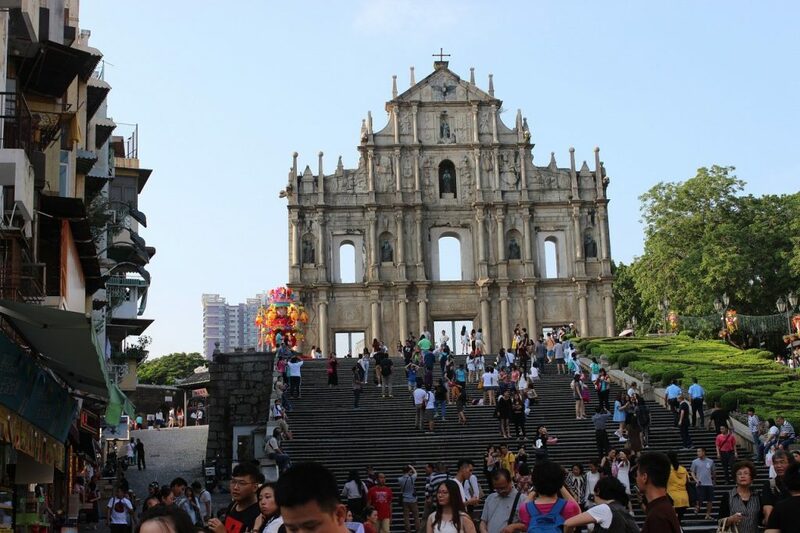 Hong Kong and Macau are two very distinct destinations – quite different than anything you will find in mainland China. Hong Kong dazzles with its larger than life skyline and glittering neon lights and Macau is equally fascinating, with gleaming modern casinos and historic Portuguese-influenced architecture. These are Special Administrative Regions, which means that although they are part of China they have their own currency, police force, legal system, customs, immigration policies and government. Make sure that you have plenty of room in your passport for the stamps you will accumulate as you travel back and forth through the borders! Spring days can turn rainy, so put this mega casino on your list of indoor things to do if the weather goes bad. It’s the largest casino in the world and the 6th biggest building on earth, so even if it rains all day you can wander around it for hours exploring the shops, food stalls and gaming halls. 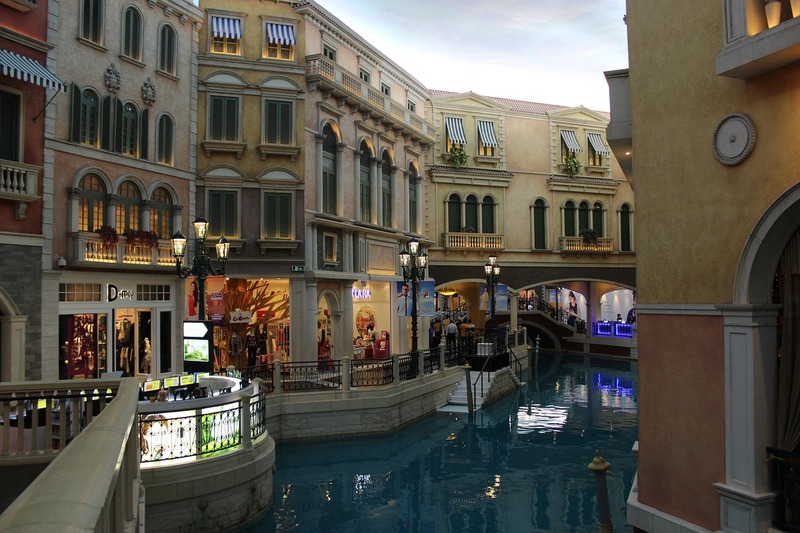 It is themed on the romantic canals of Venice (hence the name) and you can even take a gondola right down an indoor canal through a replica of St. Mark’s Square (with a perpetually sunny painted sky overhead). Then, rent a luxury cabana for a swanky poolside experience with three of your friends. Visit the ruins of this cathedral, which is a designated UNESCO World Heritage Site. Only the facade of this 17th century complex is left now, silhouetted against the sky. Walk up the 68 stone steps that lead up to the historic structure. Behind the facade of Sao Paulo Cathedral you can see the remains of the original pillars as well as a shrine. Look closely at the intricate carvings on the facade – can you spot the image of the Virgin Mary stepping on a hydra with seven heads? 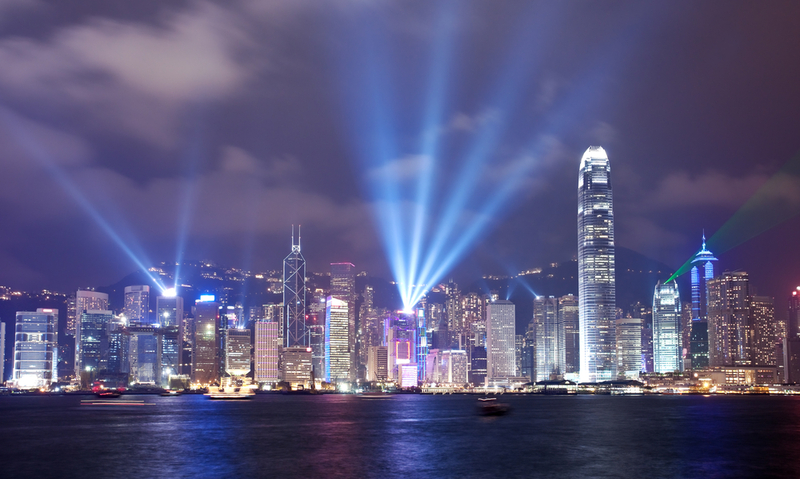 On a warm spring evening in Hong Kong there’s no better spectacle than the stunning Symphony of Lights show, which takes place every night at 8pm. The largest permanent light and sound show in the world, it involves more than 40 different buildings along the harbour. They come to life with laser beams, searchlights and flashing colours synchronised to music. It’s a dazzling display like nothing you have seen before. The best place to see the show is from the Tsim Sha Tsui waterfront, right outside the Hong Kong Cultural Centre. Plan your visit between April 11th and 25th and you will be able to attend the Hong Kong International Film Festival, which will celebrate its 41st anniversary in 2017. Watch 250 films from more than 55 countries all over the world, listen to talks with prominent filmmakers and attend glamorous parties. This festival is known for being the premier event for launching films in Asia. 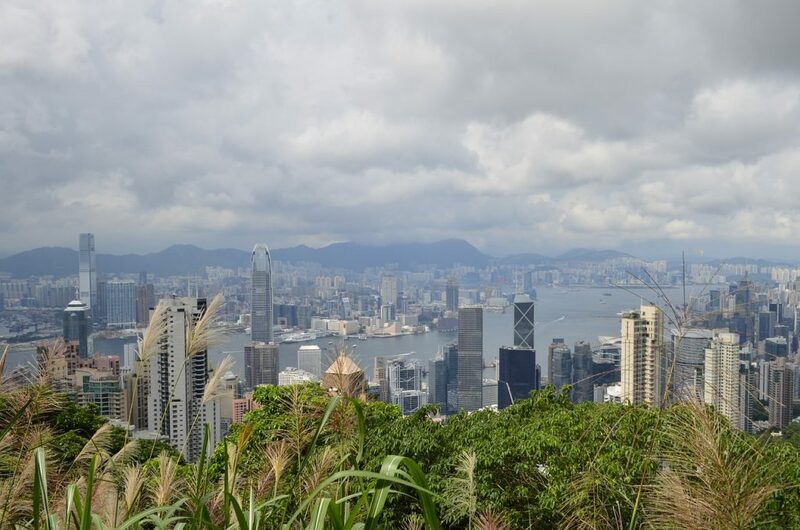 Get a breathtaking view of the city from Victoria Peak, Hong Kong’s most scenic spot. There are a few ways to reach this summit, located 1,805 feet above sea level. You could take the Peak Tram, which is the steepest funicular railway in the world or you could do the Peak Circle Walk. The best time of day to visit the peak is just before sunset, so that you can watch the sky change colours as the sun sinks below the horizon. Then, you’ll see the city become illuminated at dusk with thousands of shimmering lights, spread out like a galaxy below you. Now you can stay online when travelling in Hong Kong. New data packages are the best solution for cheap data roaming in Hong Kong.